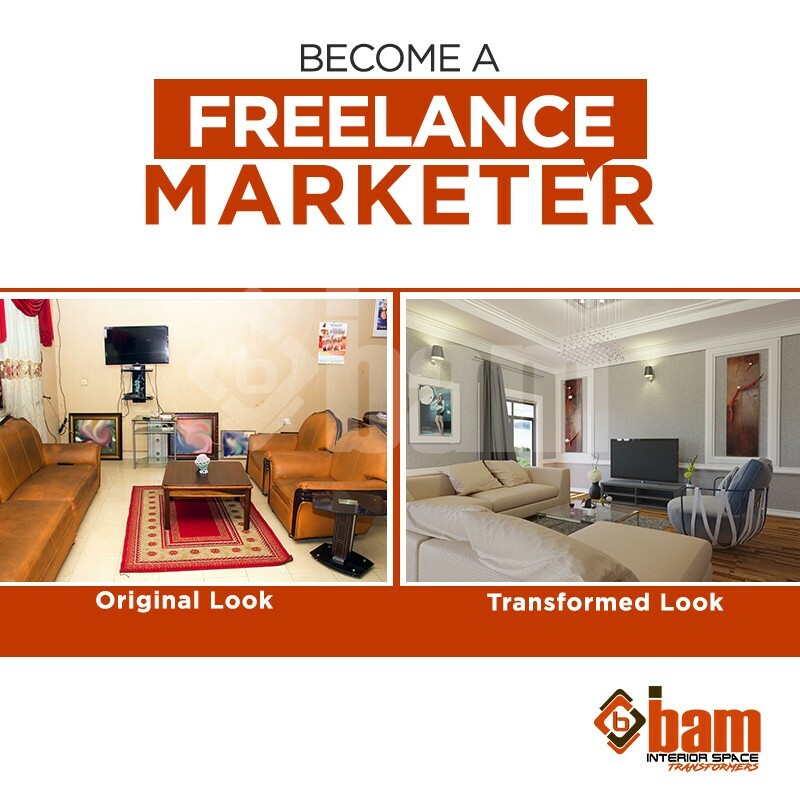 We are in the business of TRANSFORMING INTERIOR SPACES from old to modern and we have created an opportunity for you to make good money for yourself by being our freelance marketer. It’s very simple! Go out there, put out words and convince your folks and friends to take advantage of our affordable interior transformation services. You will be paid a whooping 5% bonus for every job we successfully delivered through your referral. For instance, for an interior transformation job of N1 Million, you will be paid a bonus of N50,000, immediately the job is completed. 1. You must not meet us in person first before you become our free Lance marketer. You can market us from your location and contact us via our contacts. 2. We will only pay you the 5% bonus after the job has been fully completed and client has made complete payment. © Copyright BAM Design Consults Ltd 2019 All Rights Reserved.